I’m sorry, but Josefina won’t be entering the contest after all. Apparently I’m too young to be apart of the forum it’s named after, so that means I can’t do the contest. 😥 I’m sorry, and I was looking forward to entering the contest as well, but I’ll have to wait a few years. Hey, maybe I can at least take pictures as if I was in the contest, and show them on here instead. So what do you say? Did you miss out on getting GOTY 2009 Chrissa’s Sundress and Party Treats? Well, not to fret! 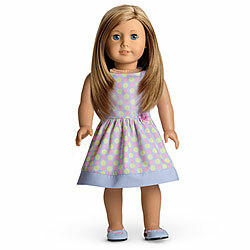 *AMERICAN GIRL IS RE-SELLING THESE ITEMS FOR WHICH I BELIEVE IS A LIMITED TIME. * It is in the 40% section, and it may go away soon. 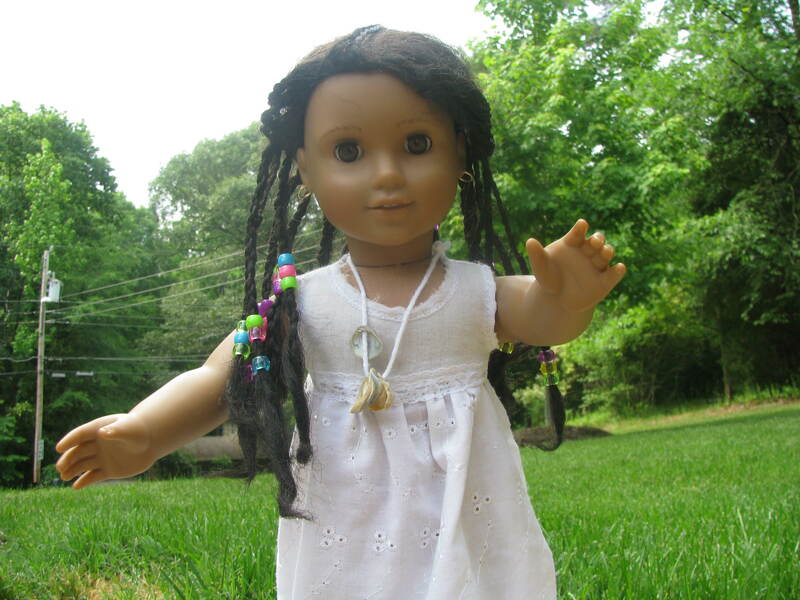 It is labeled as: “Sundress for Dolls” and “Party Treats for Dolls” and is for JLY’s. Did AG have leftover Chrissa stuff when Lanie tookover? Maybe that’s why they are making this mysterious move…. Hey guys! I just wanted to talk to you about something that’s been going on at this website. Some people have been telling me about things that are just a little gross or otherwise uncomfortable for me and other girls who play on here. Like, for example, telling me not only that they are sick but giving me specific details of HOW they got sick and WHAT was the result of being sick (example: I threw up today. It was green and stuff). I’m not trying to be mean at all, I really love all you guys (as friends and fans, of course! 😉 ) and I know some of you younger ones like to tell me about your day and what you like to do, and I’m fine with that and I love it when you guys like to talk to me, and I am very glad I have friends on here, but some things you must keep to yourself. I am not banning you from saying that you are sick or something, but please don’t say what is the sickness and what it looks like or things like that. It’s just that lots of people visit here and they may not want to again if they read inappropriate or yucky comments. Please don’t be upset. It really is good for everyone. NOTE: The thing about gross comments INCLUDES the whole thing going on with teeth.